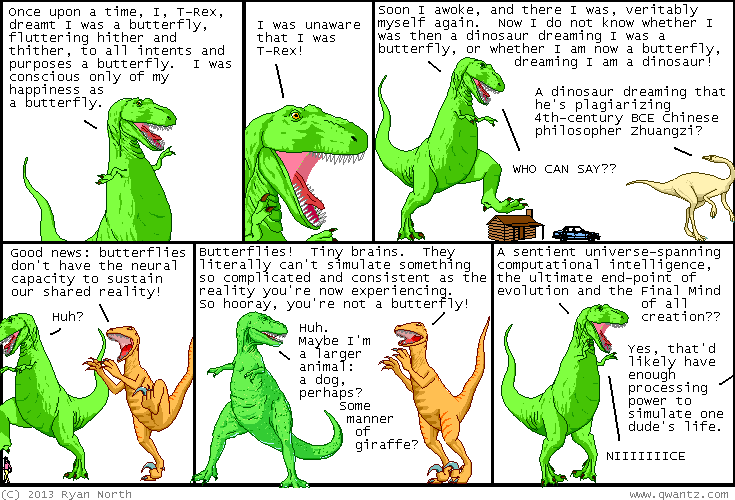 Dinosaur Comics - March 4th, 2013 - awesome fun times! –What happens when you die? March 4th, 2013: Thank you to everyone who came to ECCC! It was awesome. Let's do it again sometime!